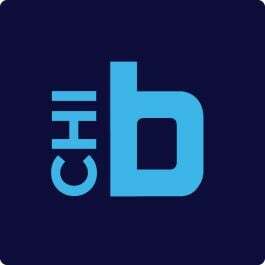 Since 2015, Built In Chicago has published the Top 100 report: an annual ranking of the city’s biggest digital tech companies based on local employee count. This year, the city’s 100 biggest tech companies employed 48,000 people, up from 41,000 in 2016. More than half of that growth, 3,642 added employees in total, came from just 15 companies. These companies represent a broad spectrum of the city’s tech industry, and are of varying sizes and ages. But what they all have in common is the rapid ascent they made up our Top 100 list from 2016 to 2017. Year in review: Digital innovation firm Solstice is once again one of Chicago’s 50 biggest tech employers. The company, which fell out of the top 50 in 2016, added 48 new hires to its tech team and now has a total headcount of 303 employees. That number is still growing, with CEO J. Schwan telling Crain’s his company will continue to hire through year’s end. Year in review: Flexera builds tools that help companies buy and sell software more safely and efficiently. Its best-known product is the (primarily) Windows-based software installation manager InstallShield. The company climbed six spots on the Top 100 this year after adding 48 new hires to its tech team. Flexera was named one of the Chicago Tribune’s top workplaces for 2017. Year in review: Bounteous is a design and technology development firm that helps companies build and optimize digital experiences. The company’s services include software and app development, marketing strategy, analytics, and insights. Along with making the Built In Chicago Top 100 for the second straight year, Bounteous was also named in the 2017 Crain’s Fast 50 ranking. Year in review: Relativity, which rebranded from kCura this summer, has been on a hiring tear. The company’s headcount, which currently sits at 750, has increased by over 100 employees in each of the last three years. Relativity has no plans to slow down, either. When announcing its rebrand, the company said its goal was to employ 800 people by the end of 2017. Year in review: Motorola Solutions builds technology for first responders. The company’s work ranges from developing cutting-edge communication solutions to AI-powered public safety cameras. In addition to developing technology of its own, Motorola Solutions also invests in local startups. Year in review: Sprout Social raised $42 million in early 2016, and still hasn’t slowed down its hiring. The social media management and analytics company has grown its tech team by 135 people in the past year. Sprout also rolled out new products this year, including a chatbot building tool for Twitter and Facebook Messenger. Year in review: Founded in 2000, Next College Student Athlete brings tech to the old-school process of college athletics recruiting. The company’s platform connects student athletes to college coaches, provides information on the recruiting process and creates highlight videos for recruits. In addition to enlarging its tech team, NCSA was recognized by Crain’s as having one of Chicago’s 15 coolest offices of 2017. Year in review: Glassdoor announced it was opening a Chicago office in late 2015, and has since doubled down on the city’s booming tech ecosystem. Glassdoor recently opened a 52,000-square-foot office in the Fulton Market district, indicating plans to keep growing its presence in the city. Year in review: Chicago is quickly becoming a hub for insurance technology, thanks in large part to companies like Snapsheet. The startup cracked 200 Chicago employees after hiring over 60 people in the last year. That hiring spree was fueled by a funding frenzy that saw Snapsheet announce $32 million in funding over the course of eight months, including a $12-million round secured at the start of this summer. Year in review: Uber Chicago’s tech team grew substantially over the past year, doubling in size to 600 employees. In addition to its Chicago hiring, the company added a new CEO, rolled out new services, including Uber Freight, and grew its delivery partnership with McDonald’s. The ride-hailing startup told Built In Chicago it plans to invest substantially in the Windy City, so don’t be surprised if that headcount continues to grow. Year in review: Google’s Fulton Market office, which serves as its Midwest headquarters, opened in December 2015. Since then, the tech titan has continued growing its presence in the city. Google is notoriously tight-lipped about local employee counts, but publicly available data suggests that it nearly doubled its Chicago footprint this year. Year in review: Avid golfers are likely familiar with EZLinks Golf’s flagship product, TeeOff.com. But the tee time booking portal is just one of the company’s offerings. After a sizable investment from the PGA Tour in 2015, the company began working on software to help golf courses run more efficiently. The company’s expanded focus has led to the rapid growth of its tech team, which now numbers 225 people. Year in review: 2017 has been a big year for OppLoans. In early October, the online lender moved to a bigger space inside One Prudential Plaza to accommodate its growing team. The startup was also named in the Inc. 500 for the second year in a row, jumping over 200 spots from its 2016 ranking. Year in review: Netsuite, whose cloud-based software helps businesses manage their money, operations and customer relations, added 122 people to its Chicago tech team from 2016 to 2017. This increased headcount came in the wake of the company’s acquisition by Oracle, which was completed in November 2016. In addition to growing its team, the company also increased its Chicagoland footprint with the opening of a new data center. Year in review: Performics, which was founded in 1998, proved this year that established companies can be just as competitive as hot new startups when it comes to hiring. The adtech firm, which pioneered the field of performance marketing, added over 300 people to its Chicago tech team over the last year, making it our top climber of 2017.